I mean, it’s a fountain. Water runs, splashy splashy sounds. Successfully installed the pump with wiring that’s invisible inside the fountain. The glazing is almost exactly the mossy-rock-water effect I was aiming to achieve. The reservoir of the basin isn’t big enough relative to the volume of the vase. When the pump shuts off, and the water backflows into the reservoir, it overflows the basin. The pump is too loud. It’s rated at 35-40 db, but it’s still very clearly audible. I can (a) search for quieter pumps, (b) look into isolating the sound of the pump better, or (c) both. 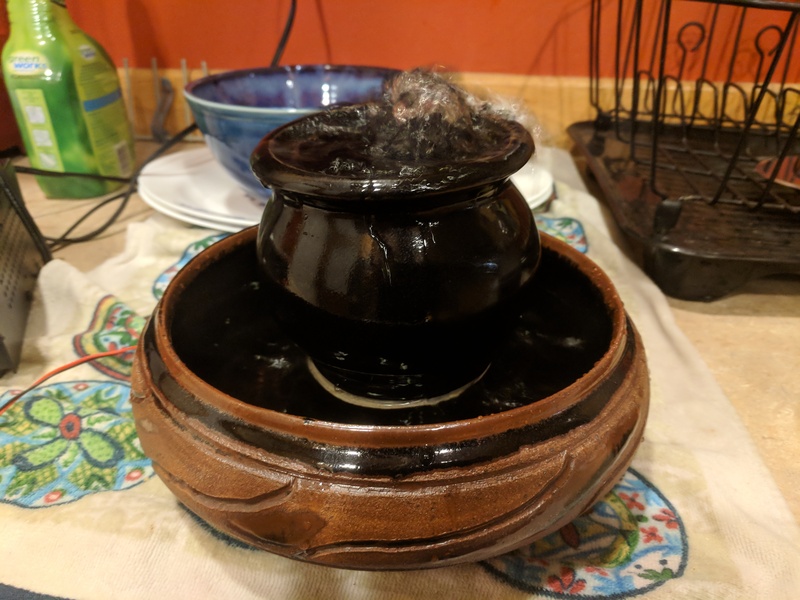 My vase started with deep channels winding around the body of the vase, and I wanted the water to flow over those to create splashing bubbling sound. 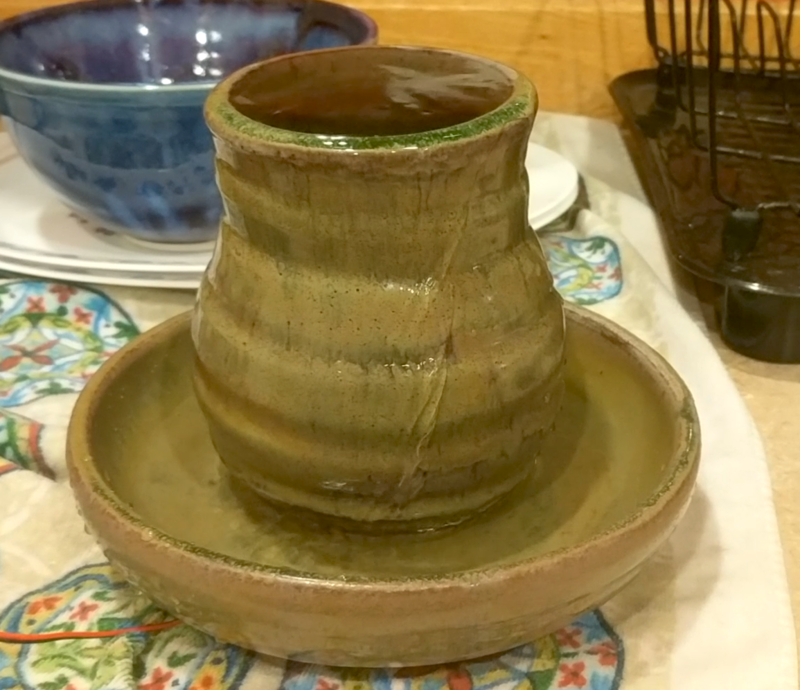 When I glazed the pot, though, the glaze nearly filled in the channels and they don’t really work as intended. I have some ideas for working with this fountain as-is to address these issues at least in part, and I’ll post about those later when I’ve had a chance to flesh out the details a bit. In the meantime… on to fountain number two!